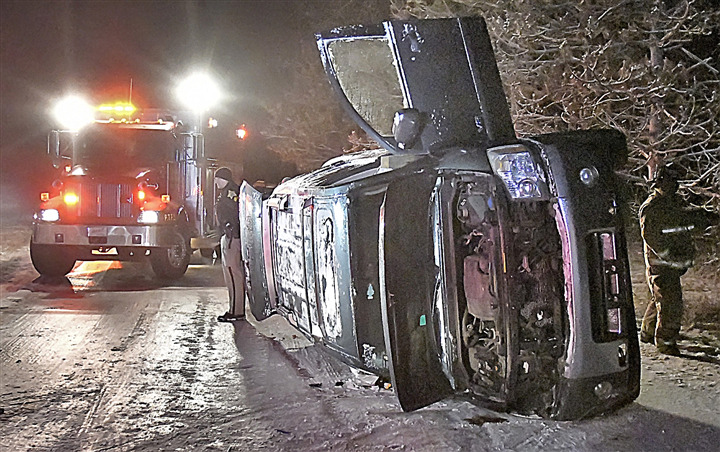 Slick overnight conditions played a factor in Sunday night's single-vehicle accident at CRs 200E and 550N. Kosciusko County Sheriff’s Office reported that Lidia Alvarado, 45, of Warsaw, was driving a 2007 Nissan Armada east on CR 550N when she lost control on the ice-covered road. The vehicle entered the ditch on the north side of the road and came to rest on its passenger side. Leesburg Fire and Lutheran EMS?responded to the scene, and Alvarado signed off on medical treatment at the scene.